Dr Ogunjimi is a technology Transfer Consultant. He is a proven Technology Transfer practitioner with a strong entrepreneurial background. He has an extensive experience of business development and creation of strategic partnership for commercial collaborative innovative technology development. Dr Ogunjimi previously managed a team of engineering technology developers before going to run his own consultancy business, undertaking management and implementation of technology development. He worked with companies and research organisation on creation of start-up companies, establishing value chains, and economic justification of new technologies, preparation of licensing packs, fund raising and strategic outsourcing and partnering. 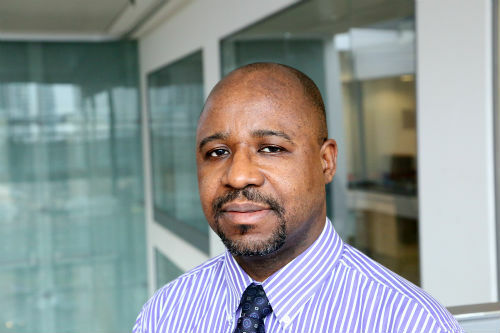 With more than 20 years' experience of technology transfer and a passion for commercialisation, Dr Ogunjimi has a first hand experience of creating and developing start-up companies. He works with City, University of London inventors to prepare a commercialisation pack and implement the appropriate commercialisation route.